Local performance artist Keegan is a huge fan of the Los Angeles Lakers, but when she came out as trans, the way she interacted with the game of basketball changed. 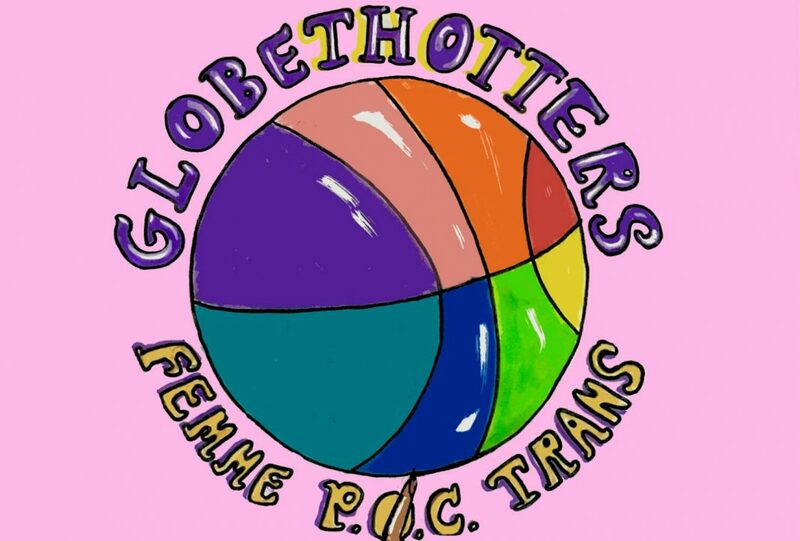 Alongside creative partner and fiancée Smeza (the duo goes by Keegan & Smeza), they launched Globethotters, a periodic Lakers-centric event that combines basketball, art, and comedy, while also building a safe space for LGBTQ sports fans. The next event takes place at the Friend in Silver Lake during the Lakers-Warriors game January 21. “We’ve been calling it a ‘queer Lakers viewing party’ in the broadest stroke. It’s open to all community members,” says Keegan. “We’re just trying to highlight and center the identities that we come from, too.” While Keegan is trans, Smeza identifies as queer. In recent years, the NBA has made strides toward inclusivity. In the fall, the Lakers held their first-ever Pride Night, where they honored Jason Collins, the first (and so far only) player to come out while playing in the NBA. Keegan cites the actions of individual players, too, like Reggie Bullock of the Detroit Pistons, who has worked with GLAAD and recently made a donation to the organization in honor of his sister, a trans woman who was murdered in 2014. Even superstar LeBron James, Keegan notes, has shown support of trans women with a shoutout to the stars of the FX series Pose on Twitter. “People listen to that,” Keegan says. They held the first Globethotters event at a venue in Hollywood for the Lakers season-opener. That time, there were no performances. Also, the Lakers lost to the Trailblazers that night. For Monday night’s event, they’ll mute the commentary and bring in background music. Their “halftime” performance will feature comedy from Brodie Reed, Tara McGorry, Theresa Bateman, and Jenell Randall. Artist Alber Nayib will provide visuals during commercial breaks.